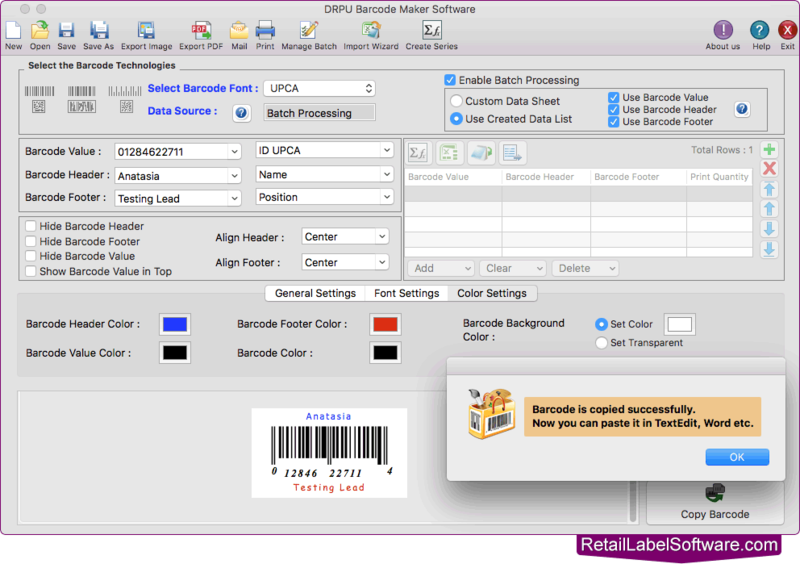 Select barcode font and enter barcode value, barcode header and footer. 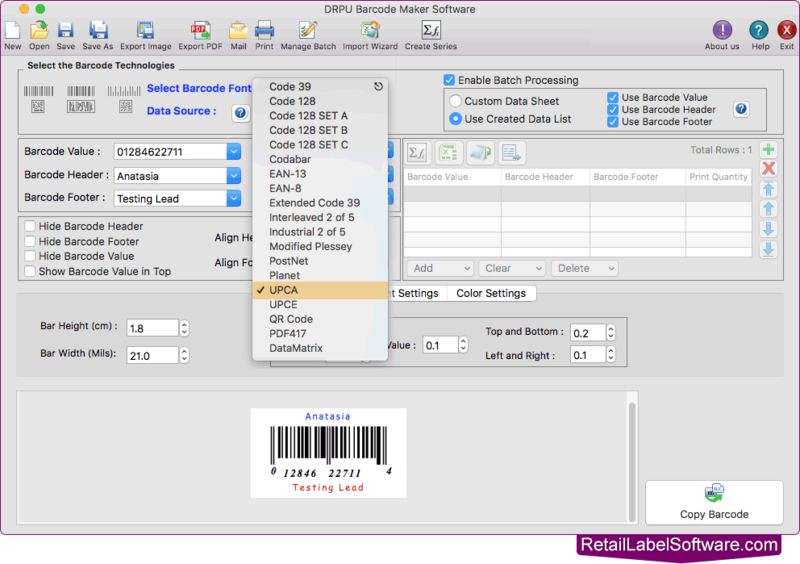 Adjust other settings of barcode labels including General Settings, Color Settings and Font Settings. Using Font Settings, you can select font family of barcode header, footer, and value. 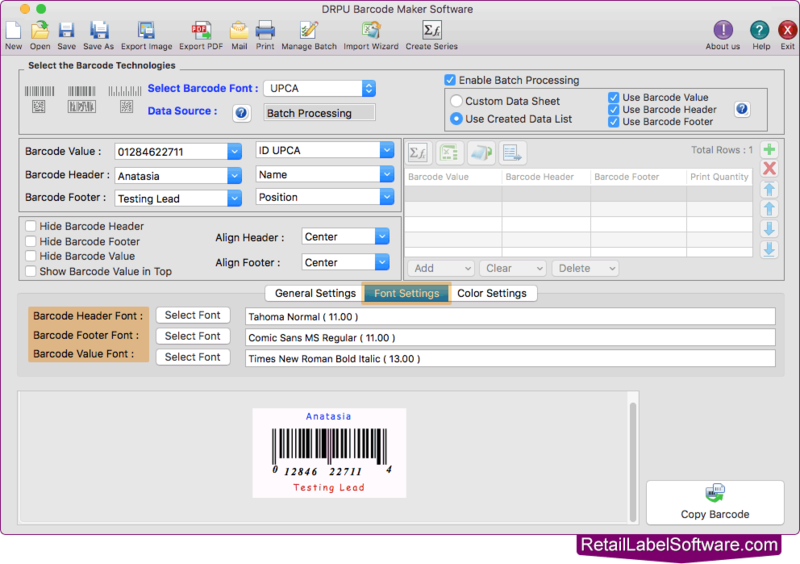 Software provides 'Copy Barcode' feature to copy barcode labels and paste at specified application such as MS Word, MS EXcel etc. 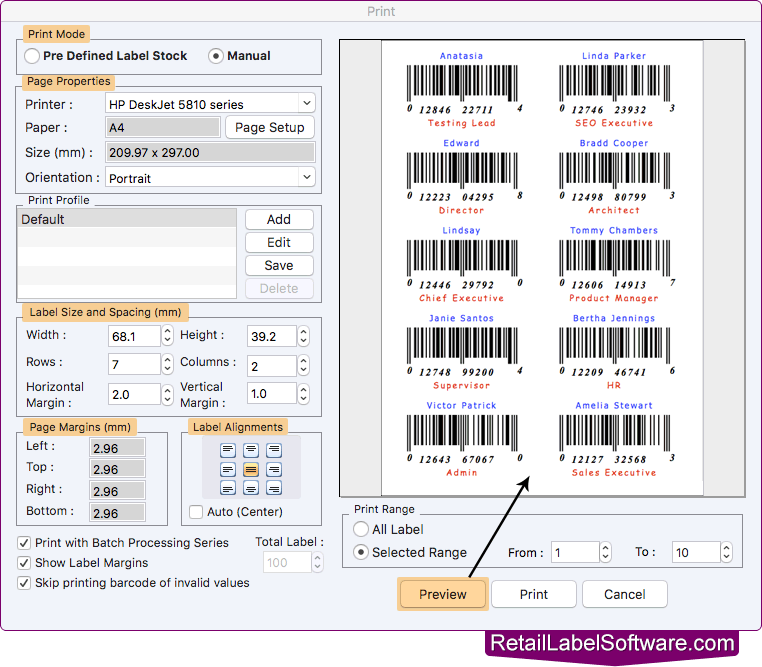 To print your designed barcode label go to print option and set attributes as per choice. To avoid printing mistakes go to print preview option to check your settings.